Athletes are considered for the weekly top performer poll only if their stats are entered on the MN Girls' Basketball Hub by 10 a.m. on Sundays. If coaches or members of their staffs need access to enter stats, please email mnhubs@sportngin.com. Julia Bengtson, Becker. Bengtson, who's helped Becker to a six-game win streak, recorded 27 points, seven rebounds and seven steals in an 86-48 win over Milaca on Jan. 22. Bengtson registered 18 points and 10 assists in Becker's next game, a 90-61 win against Zimmerman, a few days later. Tori Nelson, Henry Sibley. Two wins behind big scoring from Nelson last week extended Henry Sibley's winning streak to four games. The senior scored 18 points at Mahtomedi on Jan. 22 and 28 points at Hastings three days later. Masengo Mutanda, Robbinsdale Armstrong. In a 60-51 win over Spring Lake Park on Jan. 25, Mutanda garnered 16 points, 12 rebounds and six blocks. Three days earlier, she scored 24 points for Robbinsdale Armstrong in a 55-46 loss to Elk River. Abbey McDonald, Hibbing. McDonald went for 26 points in Hibbing's 48-29 win over Virginia on Jan. 24. In her next contest, the guard had 19 points to help defeat Minneapolis North 70-47. Paige Peaslee, North Branch. North Branch ended its three-game losing streak thanks in part to a big game from Peaslee on Jan. 22. The freshman forward scored 26 points and grabbed 18 rebounds in a 54-53 win at Staples-Motley. Ashantae Braxton, Minneapolis Henry. Twenty-one points and 17 rebounds from Braxton helped Minneapolis Henry edge out Minneapolis Roosevelt 51-49 on Jan. 22. Jade Hill, Minneapolis South. Hill's impact was felt across the court in Minneapolis South's 62-59 win over Minneapolis North on Jan. 22. She recorded 22 points, seven boards, eight assists and five steals in the contest. McKenna Hofschild, Prior Lake. The senior reached 32 points in Prior Lake's 83-76 loss to Lakeville North on Jan. 22. A few days later, Hofschild scored 18 points in a 52-47 win over Apple Valley. Lariah Washington, St. Cloud Apollo. Washington scored more than 30 points in two games last week. She led St. Cloud Apollo with 35 points in its 65-62 win at Brainerd on Jan. 22. The senior then hit 34 points in a 63-61 loss to Big Lake two days later. Natalie Mikrot, Moose Lake-Willow River. Mikrot helped the rebels to three wins last week, with her best outing coming in a 76-45 win over Carlton on Jan. 24. She scored 23 points and snagged seven steals in the contest. MN Girls' Basketball Hub polls are for entertainment purposes only. 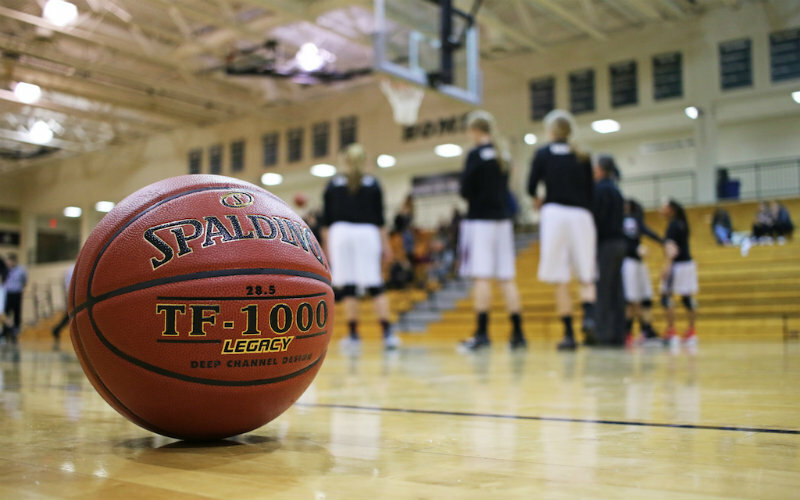 The winner will be named at the Minnesota Girls Basketball Coaches Association's banquet in Northfield on April 12. The Wildcats, who trailed by nine points in the second half, came back to take the lead on freshman guard Joslyn Carlson’s layup with 21.9 seconds left. Featuring a lineup with all five starters back from last year's Class 1A state tournament, the Vikings scored nine of the game’s final 12 points for a 55-50 victory.